Sydney, Australia, is in that Spring phase when it’s warm one day (22oC) and chilly the next (17oC). 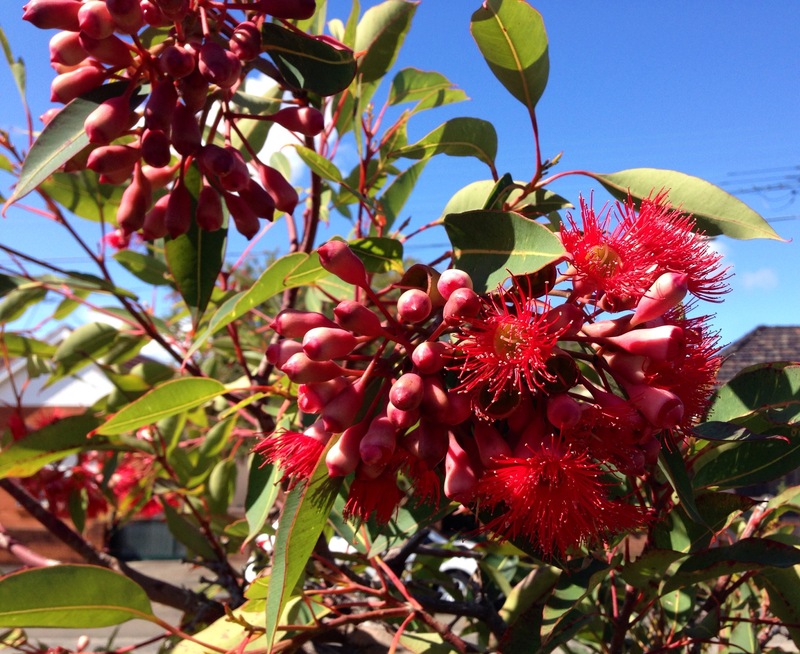 On the cooler days the red and green of this gum tree remind me of Yuletide in northern hemisphere. I can see that … it’s so hard to imagine the inverted seasons!